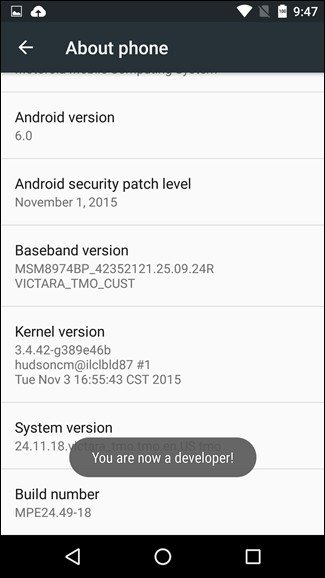 Back in Android 4.2, Google hid Developer Options. Since most “normal” users don’t need to access the feature, it leads to less confusion to keep it out of sight. 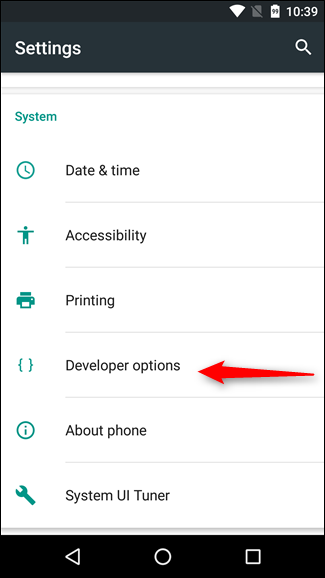 If you need to enable a developer setting, like USB Debugging, you can access the Developer Options menu with a quick trip into the About Phone section of the Settings menu. To enable Developer Options, open the Settings screen, scroll down to the bottom, and tap About phone or About tablet. Scroll down to the bottom of the About screen and find the Build number. When you’re done, you’ll see the message “You are now a developer!”. Congratulations. Don’t let this newfound power go to your head. 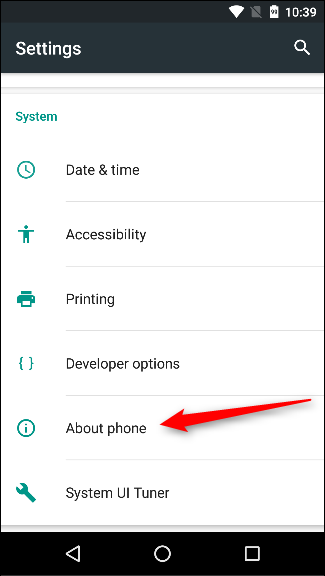 Tap the Back button and you’ll see the Developer options menu just above the “About Phone” section in Settings. 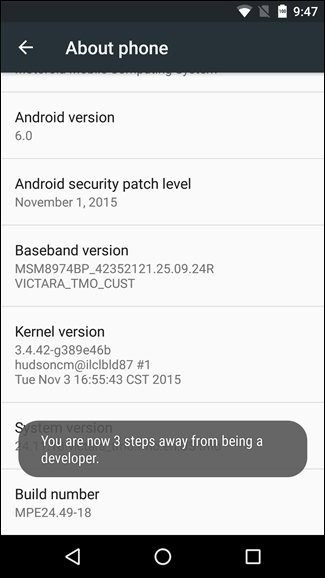 This menu is now enabled on your device—you won’t have to repeat this process again unless you perform a factory reset. 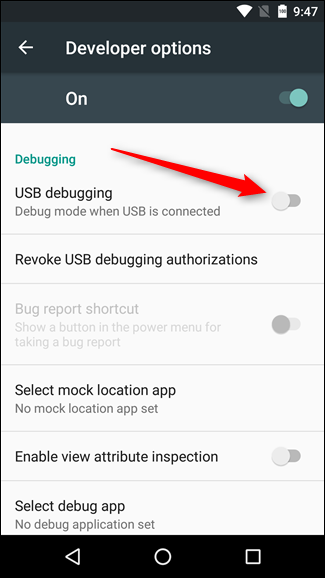 To enable USB Debugging, you’ll need to jump into the Developer options menu, scroll down to the Debugging section, and toggle the “USB Debugging” slider. Once upon a time, USB Debugging was thought to be a security risk if left on all the time. 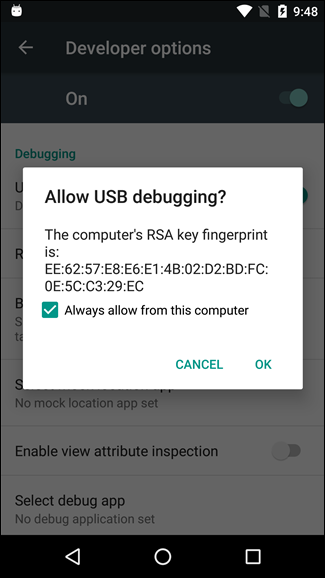 Google has done a few things that make that less of an issue now, because debugging requests have to be granted on the phone—when you plug the device into an unfamiliar PC, it will prompt you to allow USB debugging (as seen in the screenshot below). 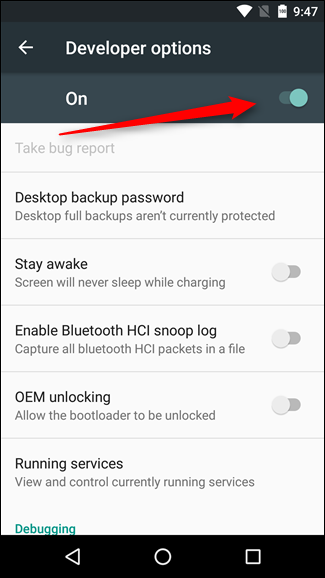 If you still want to disable USB debugging and other developer options when you don’t need them, slide the switch at the top of the screen. Easy peasy. Developer Options are power settings for developers, but that doesn’t mean non-developer users can’t benefit from them as well. 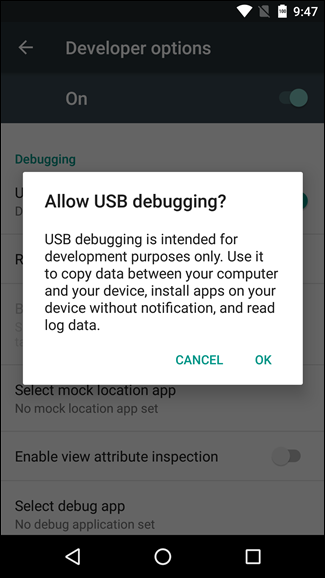 USB debugging is required for things like adb, which in turn is used for rooting devices. 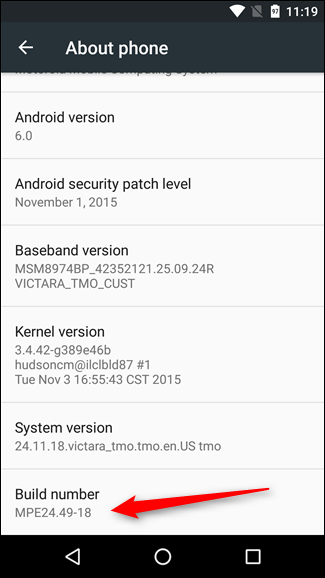 Once your device is rooted, the possibilities are endless. nice.... this may seem like common knowledge but not everyone knows this. Xét về mặt khoa học ban nấm linh chi thuộc họ nấm lim, được xếp vào mục đầu của các vị thuốc quý như nhan sam han quoc, yến sào, nhung hưu, linh chi, đông trùng thảo,…Ngày nay khoa học cũng đã chứng minh bán nấm linh chi đỏ là loại thuốc hiếm có nhiều tác dụng sam han quoc có ích đang được nghiên cứu kỹ lưỡng hơn. I tried to connect my television to my phone using USB cable, it showed options like charge only, mass storage etc but no data showed up on the screen.